The International e-Sports Federation’s (IeSF) 6th e-Sports World Championship is coming up in November, but it looks like they’ve made some questionable choices this year. The IeSF has decided to split the Assemby tournament into men and women’s divisions (as they have in the past). 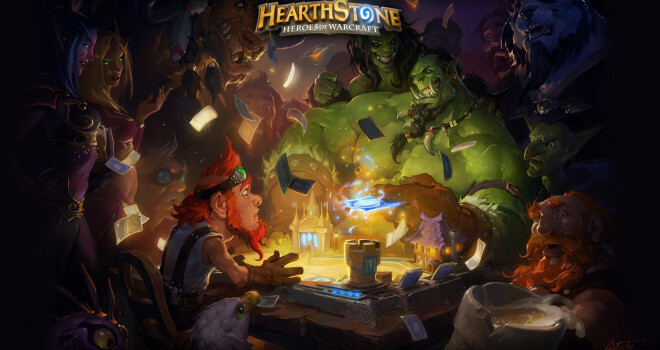 This has caused a lot of backlash not only for its segregation of genders, but for also excluding women from playing Hearthstone: Heroes of Warcraft this year. This Blizzard title is open to Finnish male players only. Not only are females being excluded from Hearthstone, but also Ultra Street Fighter IV and Dota 2. Both male and female players are able to compete in Starcraft II, but only female players are able to play Tekken Tag Tournament 2, which is also unfair to male players. This entire thing is absolutely ridiculous. I hope we as gamers are loud enough for the IeSF to realize that what they’re doing is sexist and wrong. None of their excuses for doing this have any logical reasoning behind them. In what way would it cause conflict if a female won in Hearthstone? This just goes to show that sexism in gaming is still very much alive and well. If you think the IeSF is in the wrong, contact them on their Facebook page so your voice can be heard.